After finishing the conducting school in Slovenia he completed Master study for conducting at Conservatorium Maastricht (Holland) in class of prof. Jan Cober. As his assistant he worked with European Union Youth Wind Orchestra in Luxemburg and University Orchestra Maastricht – Tilburg. In the time of his studies he conducted orchestras of Luxembourg Military Band (Musique militair Grand-ducale), Slovenian Armed Forces, Croatian Armed Forces and Slovenian Police. Strong influence on him made a cooperation with Koninklijke Harmonie Saint Cécile Eijsden and Simon Bolivar Symphonic Band. In Season 2016/17 he conducted Symphonic Orchestra JSO in Austria. He is the principal conductor of the Wind Orchestra of Ironworkers Ravne (Pihalni orkester Železarjev Ravne), Wind Orchestra Laibach (Jauntier Trachtenkapelle Laibach) and till 2017 Wind Orchestra Villach (EMV Stadskapelle Villach). He won several prizes at Slovenian Wind Band Competition and at International Competition Flicorno D´Oro, Riva del Garda (Italy). Few times he participated at WMC Kerkrade and in 2001 played as a soloist. Born 1977 in Maribor, Slovenia, he started studying clarinet with his father and finished it at the Academy of Music in Ljubljana. He improved himself with Prof. Kalmen Opperman in New York and was invited by L´Academie musicale de Villecroze (France) to work with Paul Meyer and Michel Portal. He took part in master courses led by Richard Stoltzman, Antony Pay, Alois Brandhofer, Martin Spangenberg and Jacques Di Donato. He won several first prizes at the Slovenian and International Music Competitions. For fifteen years he is member of the Clavimerata. 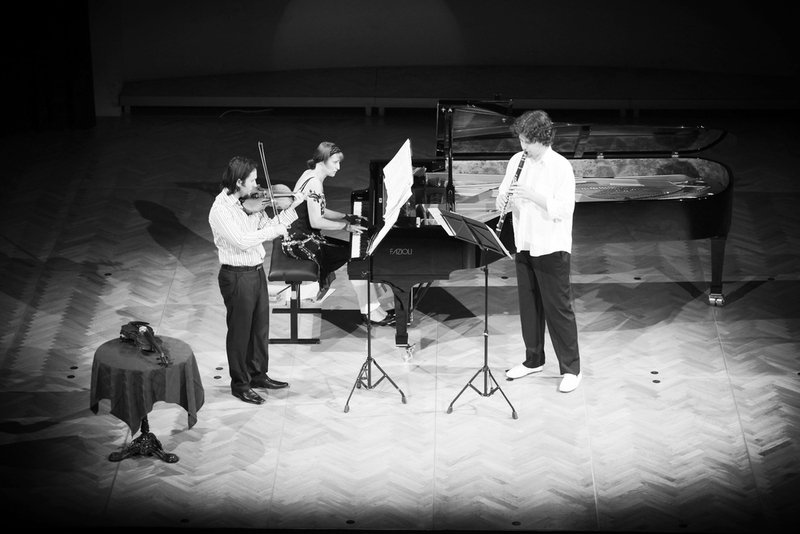 Group published four CD´s and received the highest Slovenian student award, the Prešeren Prize. For several years he played in the orchestra of Opera & Ballet in the Slovene National Theatre in Maribor and in the Symphonic Orchestra of the Maribor Philharmonic Society. He was a member of the European Opera Orchestra and member of various European Youth Orchestras. As soloist, member of orchestras and chamber ensembles he has cooperated with Richard Tognetti, Radovan Vladkovič, Elmar Schmid, Dimitrij Slobodeniouk, Ernst Kovacic ... and performed throughout Slovenia, Europe, Middle East, North Africa and North America. For several years now he has been intensively preoccupied with symphonic wind music and has already transcribed a considerable number of works for symphonic wind ensemble. He bases his arrangements not so much on traditional wind music instrumentation but more in a way to find a typical sound and style demanded by the great symphonic Classical composers from various epochs (con.wind). He made also several transcriptions for various Chamber groups (con.chamber). For many years he was artistic director of Festival "Musical Summer in Maribor", concert maneger of Festival Imago Sloveniae and Concerts in old Ljubljana. From 2011 he is a president of the expert committee by Union of Slovenian Wind Bands, mentor and co-organizer of Musica Creativa. With his wife and two daughters he lives in a blue house in Carintia and enjoys free time in blue Dalmatia.